The shareware concept is that you try the software before you buy. 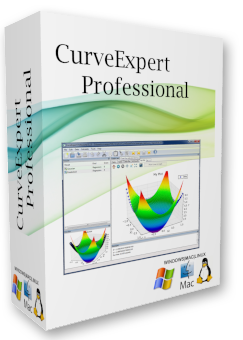 Please feel free to download a fully functional copy of CurveExpert Professional, GraphExpert Professional, or CurveExpert Basic that you have the right to evaluate for 30 days. Some users still have need to download 32-bit versions of the software. In these cases, please see the Legacy Download Center. CurveExpert Pro is compatible with all versions of Windows, macOS 10.7 and above (Lion to Sierra), and Linux. See the install/uninstall guide for detailed installation and uninstallation instructions, and you may review the EULA if desired. 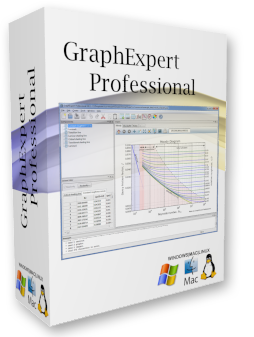 GraphExpert Pro is compatible with all versions of Windows, macOS 10.7 and above (Lion to Sierra), and Linux. See the install/uninstall guide for detailed installation and uninstallation instructions, and you may review the EULA if desired. 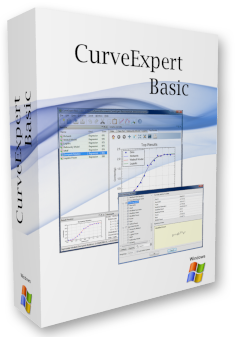 CurveExpert Basic is compatible with all versions of Windows. See the install/uninstall guide for detailed installation and uninstallation instructions, and you may review the EULA if desired.